Our Japanese Program employs a unique set of pedagogical methods that's given us a reputation for producing a large number of internationally certified students. 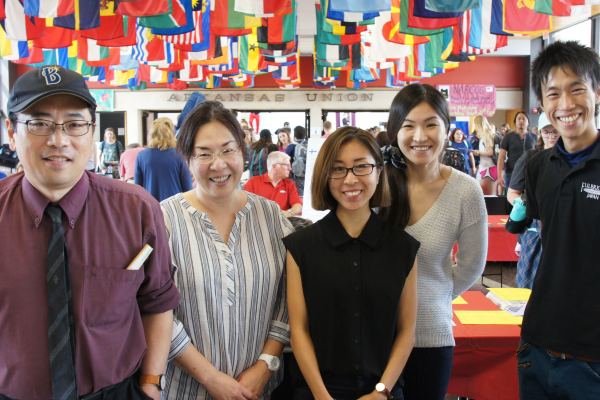 The Japanese Program at the University of Arkansas designs its curriculum for students from all experiences and backgrounds. As a foreign language program at the state's flagship university, we strive to see extraordinary come out of the ordinary. As long as they work hard, students who do not know a word of Japanese on the first day of elementary levels will be able to achieve not only good grades but internationally certified levels of Japanese language proficiency. International certificates are logistically accessible and realistically achievable. 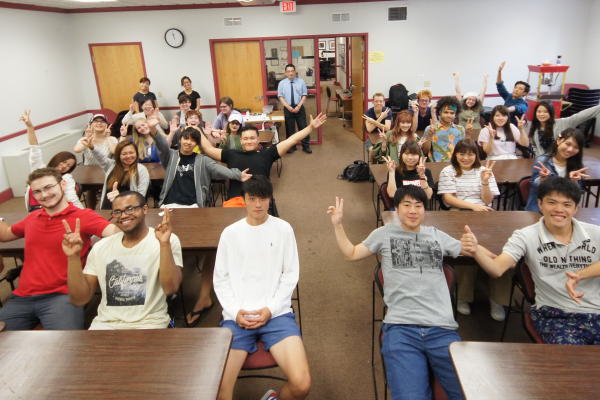 Our Japanese Program offers a Minor in Japanese with Business Orientation. Students in this program will take five upper-level Japanese courses to earn a Minor. Contrary to some misconceptions, this Minor program is open to students in all majors; students DO NOT have to be business majors in order to declare a Minor in Japanese with Business Orientation. Because of its emphasis on Japanese language use in job settings, students seeking employment in any Japan-related field will find this Minor program very relevant to their future professional endeavors. We have designed our program to help students achieve levels of Japanese language proficiency to pass the Japanese Language Progiciency Test (JLPT). The JLPT, an international certification examination of Japanese language proficiency (see below), is immediately accessible to students at the University of Arkansas, and students of our program have a realistic chance to pass the JLPT because of the quality instruction that we offer. Meet our Japanese instructors and TAs in our departmental directory. Students of Elementary Japanese having a good time in class. Our program prepares students for professional competency in Japanese. And we offer the test here! The Japanese Program faculty, instructors, and staff. Students are offered a variety of Japanese courses geared for all skill levels. 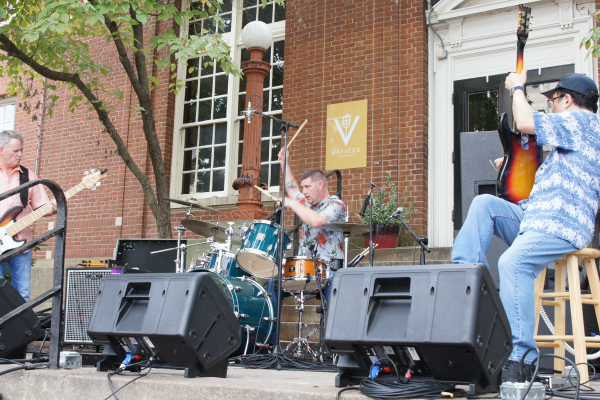 The head of our Japanese program, Dr. Tatsuya Fukushima, also plays in local shows on the weekend. The Japanese Program at the University of Arkansas is designated as a Core Member of the JF Nihongo Network (a.k.a. Sakura Network). The JF Nihongo Network aims to promote Japanese language education outside of Japan through support and cooperation between the Japan Foundation and educational institutions, and the Core Member designation means the Program's recognition as a regional hub of Japanese language education. The Japanese Program is extremely honored by the distinctive recognition as one of the 12 Core Members among 85 member institutions in North America (as of June 2009). The University of Arkansas has been designated as a U.S. test site of the official Japanese Language Proficiency Test (JLPT; administered by The Japan Foundation). We are one of just a handful of American Universities that offer this exam on site. 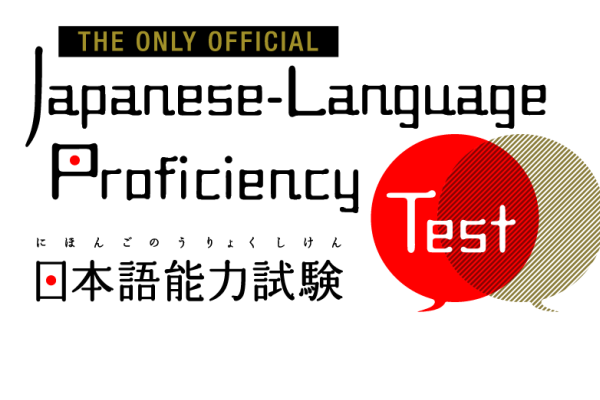 The Japanese Program considers the JLPT to be a very important instrumental goal for its students, as a JLPT certificate will give the students the most internationally recognized credential of their Japanese language proficiency, something that truly stands out in the list of their accomplishments. To prepare the students for the JLPT, the Japanese Program includes JLPT Practice Exams in language courses at intermediate and higher levels. We created this section in light of a recent increase in inquiries to us from high school students. We thank those who expressed interest in our program. 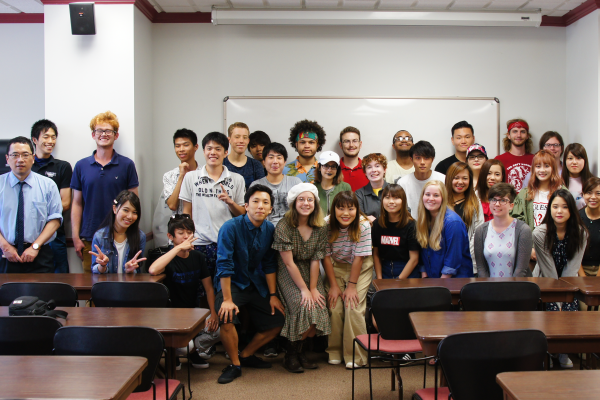 High school students who intend to attend the University of Arkansas in a future semester are welcome to observe our Japanese language classes. In order to do so, please give us advance notice through the Office of the Registrar. We will also greatly appreciate a separate advance notice to us (see [CONTACT US]). For dual-enrollment application, high school students must complete the necessary paperwork at the University of Arkansas at least one month in advance of the semester. It is entirely the responsibility of the students to complete necessary paperwork to enroll in our classes. It is strongly advisable that students act early because Japanese courses tend to become full quickly, particularly at the elementary and intermediate levels. Students taking Japanese will have opportunities to participate in various study/work-in-Japan programs, including the one with Kansai Gaidai (Kansai Institute of Foreign Language Studies) in Osaka, Kanto Gakuin University in Yokohama, and those sponsored by the Japanese Ministry of Education and various non-profit organizations. Explore some of our recommended options and programs that will suit your interests. “Knowing Japanese is an asset. It is important for individuals to know about various experiences so that we can learn from one another. The world we live in needs people who are sensitive to other cultures. Knowing Japanese adds a lot to a person’s profile. Being able to speak Japanese can open so many doors." Interested in Studying Japanese at the UofA? For more information about the Japanese Program, contact Professor Tatsuya Fukushima.